What decoration should you choose for your dining area? What can be mirrors used for? An interesting questions, I must admit. Well, mirrors as a whole usually have practical and functional role in our homes – to reflect our body and allow us having a clear image of how do we look at the very moment when standing in front of them. Personally, I think that small and middle-sized mirrors fit very well in dining rooms while giant mirrors as well as walls completely made of mirrors are not that good idea. Of course, people are different and all of us have different preferences. Needless to say, they can be found in contemporary, modern, minimalist, eclectic, futuristic interiors. These types of mirrors are great because they usually have really intriguing and creative shapes that are result of modern advanced industries. Other examples show amazing creativity thanks to their creators who like to express themselves as modern artists and create outstanding and memorable concept designs. I believe that in the images below you will be grabbed by a certain idea and will want to apply it in your home. They are authentic and they bring this kind of ancient, noble and firm feeling inside the interiors. We live in interesting times and if I was writing this article twenty years ago, I would definitely be against mixing styles. But today, I claim that making eclectic interiors is so fashionable, trendy and good-looking! 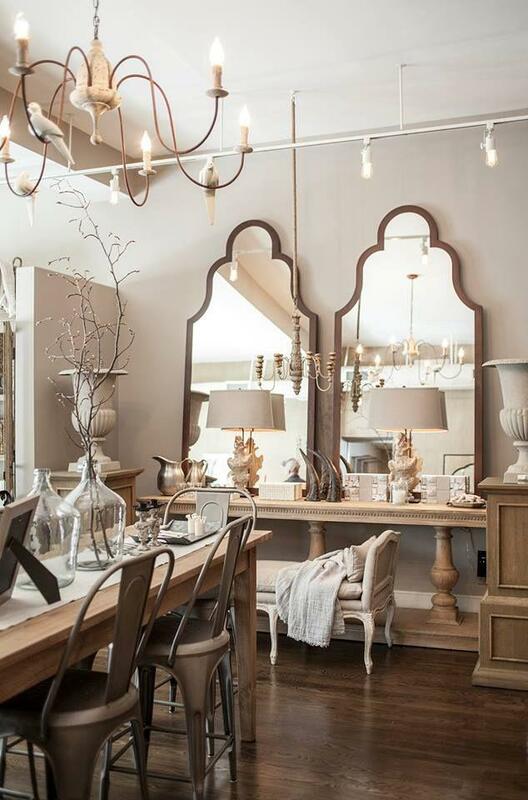 So, antique mirrors can be installed in modern and contemporary dining rooms, too. Of course, their usual and most common usage is still in vintage, traditional or classic homes with all this ornated items, walls and other stuff. The most remarkable thing about the antique dining room mirrors is their frames. You will see some very amazing examples with gold frames in various shapes. There are round mirrors (which I admire! ), square examples with top figurines, or non-traditional frames with interesting lines.